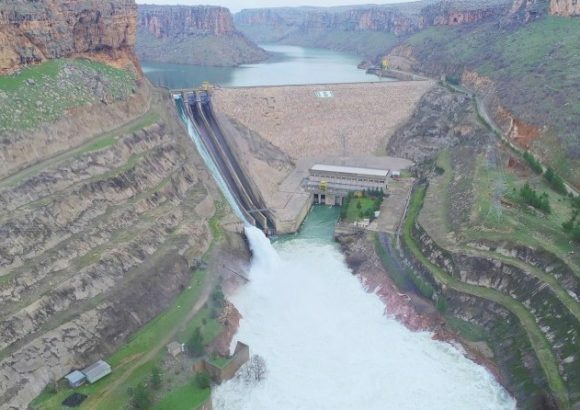 When dams and hydropower plants are implemented in a certain area, they affect a multitude of actors and the documented negative impacts are only increasing over time. Disruptions of the local water cycle imply the degradation of ecosystems, rivers and aquiferes, but often also the disconnection between water bodies, the empoundment of vast fertile areas of land, loss of unique habitats, the emission of carbon dioxide and methane both by the dam itself and the indirect industrial activities it induces, the consolidation of land uses in flooding zones, and increased vulnerability in the face of climate change. Yes, a solution promoted as measure for climate change mitigation is actually increasing societies’ vulnerability, given that dams and hydropower plants are proved to diminish water security: qualitative and quantitative degradation of water bodies, together with the increase and consolidation of water demand, strongly reduce the resilience of the local water cycle. The increase in water available for uses provided by the infrastructure is only temporary and relying on this source is hightly imprudent for a society that worries about its sustainability in the future. Since the birth of civilization all societies depend on the health of different territories’ water bodies. Therefore the fight in the Mesopotamian area is particularly symbolic. The hydraulic infrastructures planned in this region not only will destroy entire livelihoods and unique habitats, but will affect the precious water culture acquired over centuries. 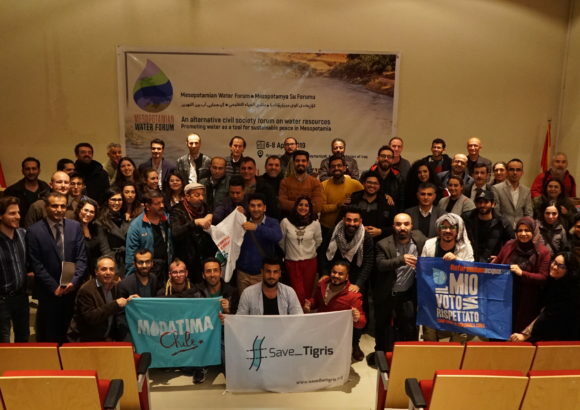 This is also a patrimony the global community doesn’t want to loose and we celebrate the initiative of the Mesopotamian Water Forum as an opportunity to transfer this culture and share knowledge. We invite the different organizations in Europe and in the rest of the world to contribute to the event in any possible way: attending the forum, helping to disseminate the invitation or producing solidarity messages.